Rosemary Chapter was organized in Middleton and received its charter on April 26, 1919 just 19 years after the National Chapter was organized and 10 years after the town of Middleton was incorporated. The name Rosemary was suggested by Cannon Morris, Rector of Holy Trinity Church; the father of one of the charter members. Rosemary means remembrance; quite appropriate as the major project for the newly formed Chapter was the responsibility of equipping the operating room of the new Soldiers' Memorial Hospital. At the age of twenty-five in 1919, Marguerite Ethel Young was a founding member of the Rosemary Chapter. Marguerite lived until the age of 105; she died in the Annapolis Royal Nursing Home in 1999. The Chapter's charter members consisted of ten enthusiastic, young, single women. In April of 2015 at the 95th Provincial Annual Meeting of IODE Nova Scotia, IODE Rosemary Chapter received the Mrs. C.H.Sutherland Rose Bowl Membership Award for having obtained six new members the previous year. Recognition for this achievement was also received from IODE Canada. 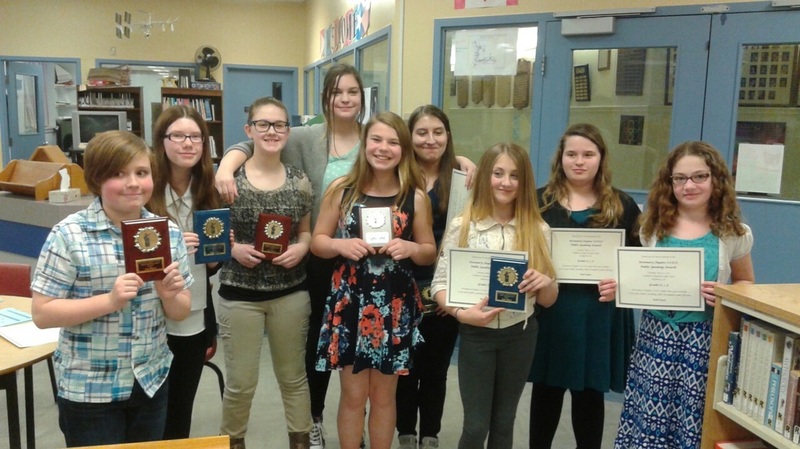 In May of 2016, the Rosemary Chapter sponsored their Annual Public Speaking Contest for the Grades 6, 7 and 8 students at the Middleton Regional High School (MRHS). Topics ranged from Alzheimer's Disease, to Anaphylaxis, to Figure Skating to Why Tests Should be Removed. Support to local schools is a major part of Education work in the Middleton area. In 2015 three $500 bursaries were given to Grade 12 students graduating from Middleton Regional High School along with IODE Achievement/Work Ethic plaques. 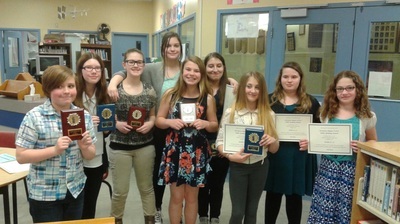 At the closing ceremonies for the Grades 6-11, IODE Achievement/Work Ethic awards were presented in addition to a $100 bursary to a deserving student at the NSCC. 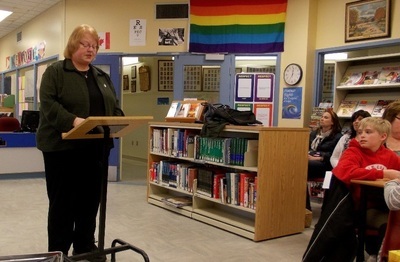 Books have been donated to the Lawrencetown Consolidated School Library along with two volumes of "The Swallow" to The Rosa Harvey Middleton Library and MRSH Library to commemorate the birth of Princess Charlotte. "The Swallow" by Charis Cotter was the 2015 winner of the IODE Canada Violet Downey Book Award. Winner of the 2016 Violet Downey Book Award was The Blackthorne by Kevin Sands; a copy of this book has also been donated to the Rosa Harvey Library and the Middleton Regional High School. The Grade 1 class from Lawrencetown Consolidated School became pen pals with a Grade 1 class in Labrador. Donna Eisner (L), Services Officer and Sheila Haynes, President, present McKenzie Akin from the Carleton Road Industries Association with a Wipper Snipper. Carleton Road Industries Assoc. is a non-profit, charitable Adult Service Centre in Lawrencetown, Annapolis County providing vocational and life skills training to adults with mental, intellectual, emotional and/or physical disabilities. Services work carried out by the Chapter includes the town of Middleton as well as the county of Annapolis. 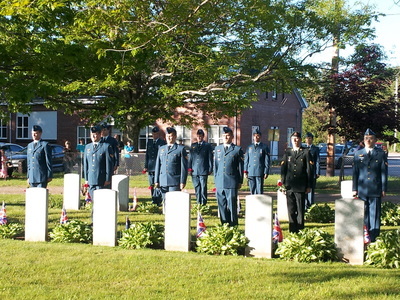 Each year donations are made toward equipment at the Soldiers Memorial Hospital; provides Christmas gifts to approximately thirty-six residents of the Adult Residential Centre, provides a baby layette to an in-need mother through Family and Children Services; donates to the School Lunch Program at the Middleton and Lawrencetown Elementary Schools; provides mittens and toques to both the Elementary and High School in Middleton plus the Twelve Baskets Food Bank. 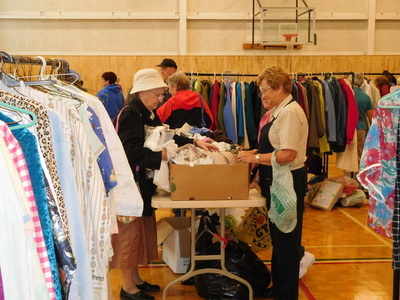 Eye glasses are passed on to the Lions Club, and good used clothing and bedding, etc. are given to the Red Cross and Missions to Seafarers. In addition to local services work the chapter supports the Provincial Good Samaritan Fund and the Dr. Crocker Fund for Kidney Research. 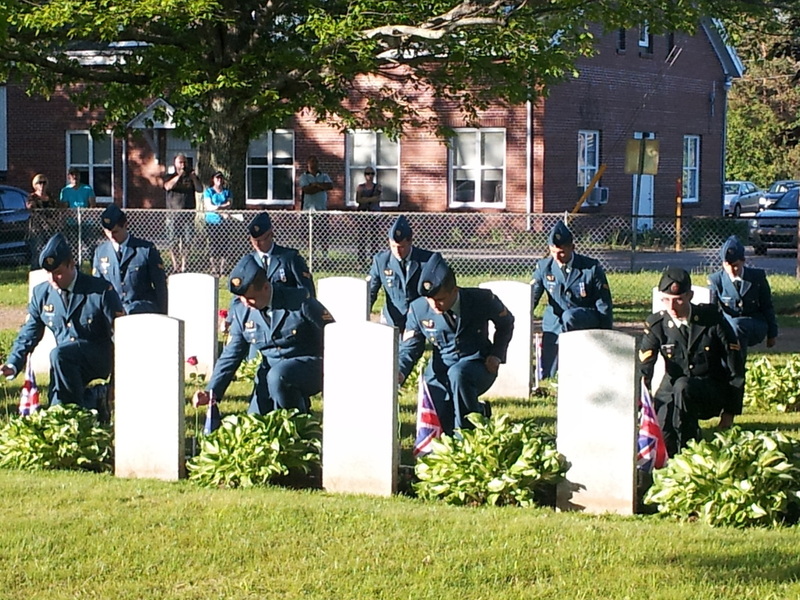 On December 17th, 1939 the Royal Air Force signed a formal agreement with the RCAF for an airfield in Greenwood, NS to be part of the British Commonwealth Air Training Plan during WWII. 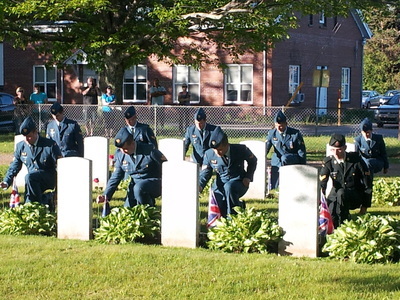 While serving out of RAF Station Greenwood, seventy Commonwealth Military Personnel lost their lives; twenty-seven of these airmen are buried in the Old Holy Trinity Anglican Church Cemetery in Middleton, NS. In 1943, IODE Rosemary Chapter, Middleton, decided they would honour those servicemen each year with a "Decoration of War Graves Ceremony" for those twenty-seven airmen buried at this grave site. For many years chapter members planted hostas, flowers and maintained the graves. 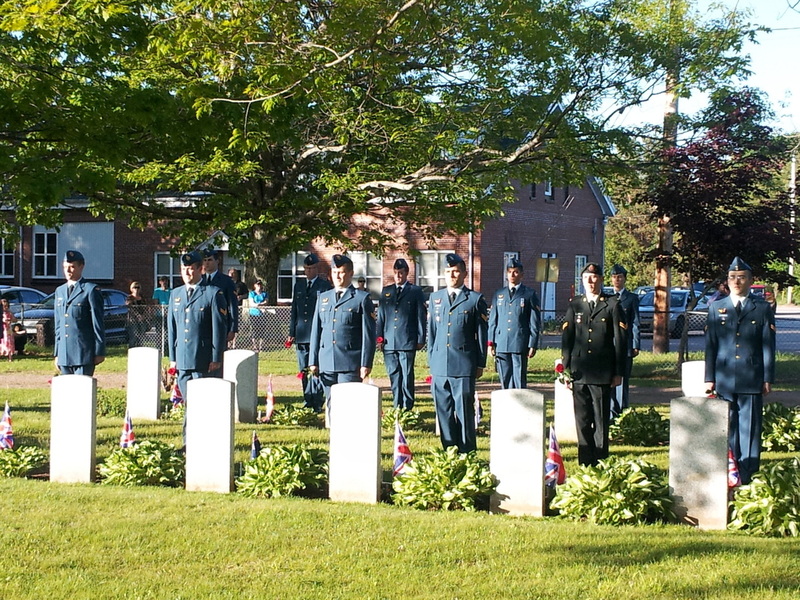 On the second Sunday of June, each year, at 7:00 pm at the Old Holy Trinity Anglican Church Cemetery the Decoration of Graves Ceremony is held to honour those British Commonwealth Airmen. The Royal Canadian Legion Branch #1 of Middleton and CFB Greenwood now organize this service. 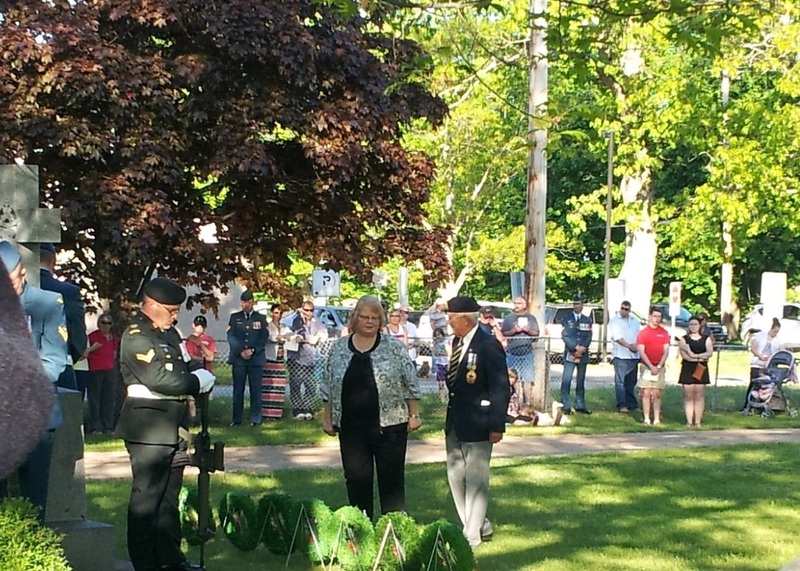 As part of the ceremony a single red rose is placed on each of the twenty-seven graves by members of the Honour Guard from CFB Greenwood followed by a Wreath Laying Memorial Service. 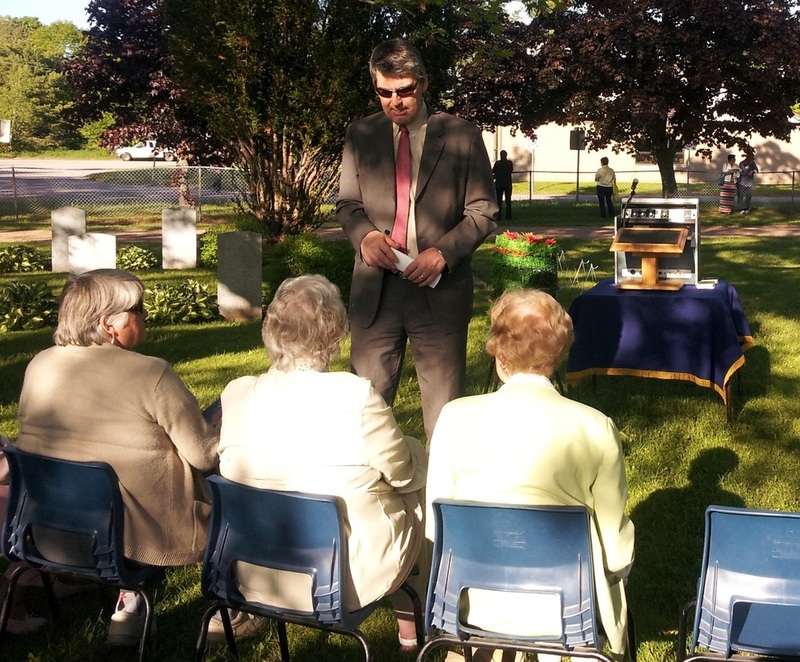 IODE Rosemary Chapter members are today honoured guests at the ceremony with the chapter president laying a memorial wreath; they will always be remembered for their assistance to the relatives of those pilots and aircrew who were killed while serving at RAF Station Greenwood. Back Row - L to R: Valerie Davies-Assistant Secretary & Historian, Elizabeth Sawler-Standard Bearer, Shelley Reycraft-1st Vice-President & Membership, Donna Eisner-Services, and Liz Cox-Education. 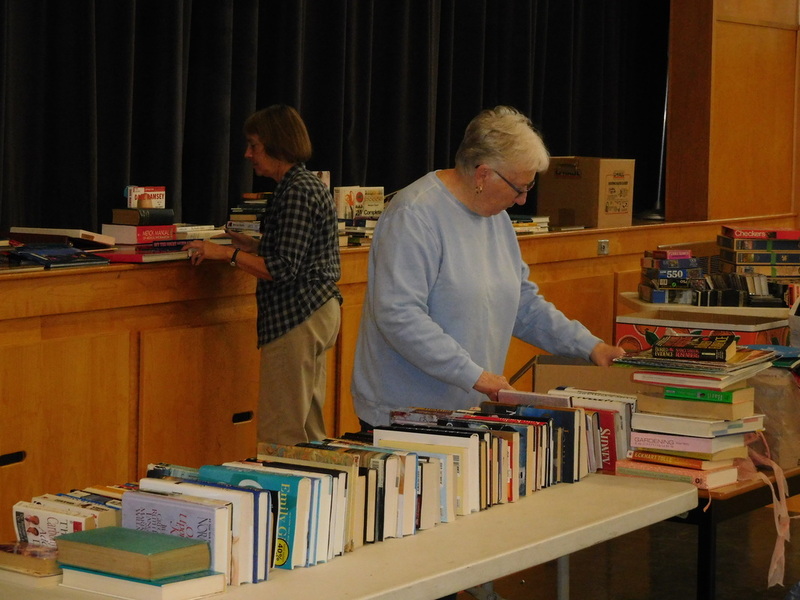 Chapter members prepare for their Annual Fund Raising Rummage Sale which is held at the NS Community College, Middleton Campus. Rosemary Chapter members would like to thank all those that made their annual fall rummage sale a success again this year. 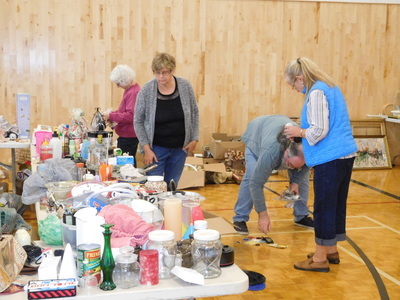 Thank you to all our members and volunteers from our community, to the town of Middleton and to those who donated the many, many items which contributed to the success of our sale. A special thank you to NSCC, Middleton Campus, for allowing us to use their gym, to the people who let us use their tables and a special thank you to the members who organize it!